This webinar and accompanying article focuses on the various ways that Oregonians can benefit from setting up trusts in Alaska. 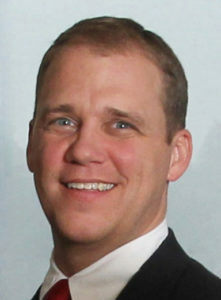 As an experienced trust and estate planning attorney licensed in Alaska, Washington and Oregon, Ted Simpson is in a unique position to help individuals take advantage of Alaska trust law, allowing his Washington and Oregon clients to shelter their assets from taxes and from other creditors. Alaska’s trust laws are among the most progressive in the U.S., providing a number of unique estate planning and tax savings benefits not available in most other states. Alaska was the first state to pass legislation authorizing self-settled domestic asset protection trusts and continues to be in the forefront in updating and improving its statutes to provide favorable protections for individuals, families and family-owned entities. Alaska has become one of the top states of choice for the location of trusts and family limited liability companies. Link to recorded webinar available soon.